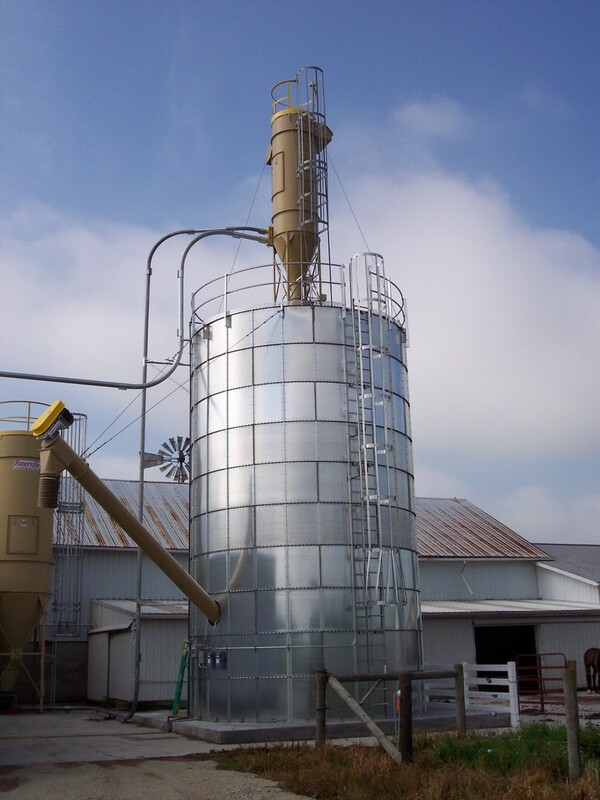 EFR Pulse-Jet Filters | Honeyville Metal, Inc. 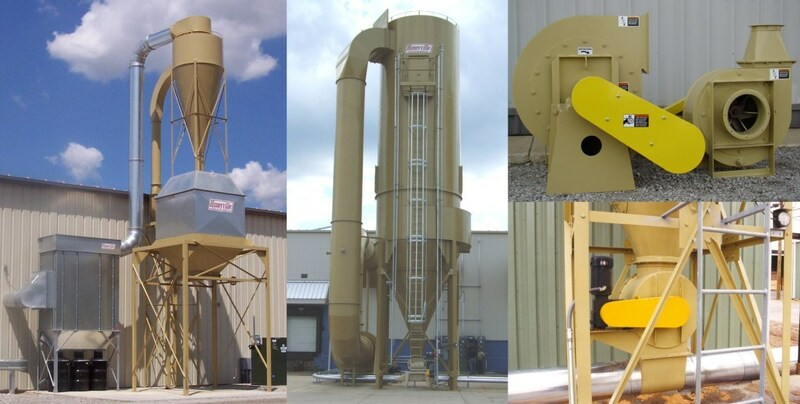 The Honeyville EFR Pulse-Jet Filters are designed for light to medium dust load applications and utilize cyclone separation and bag filtration. 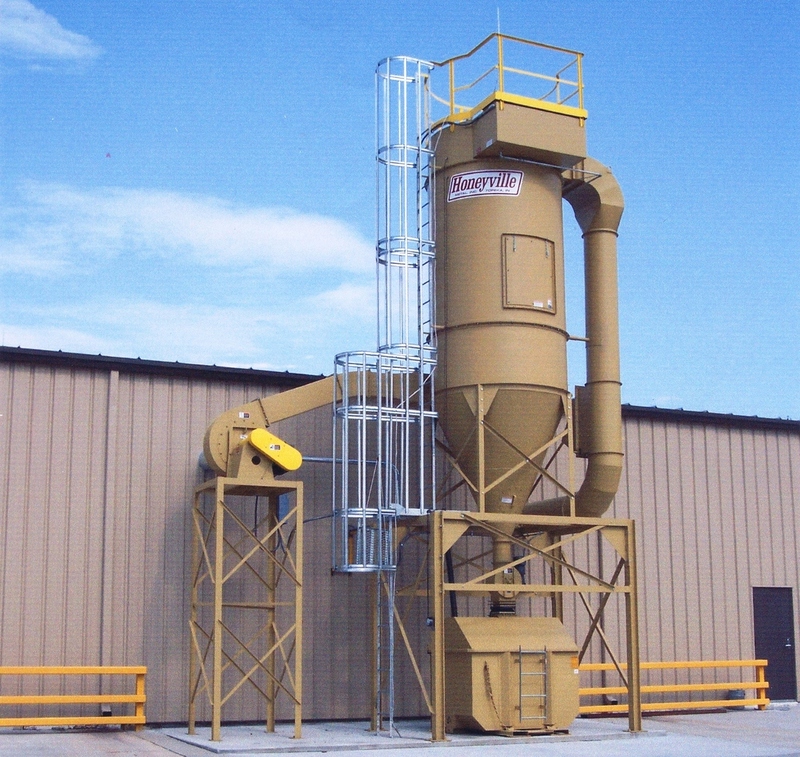 The EFR will effectively filter such materials as grain, feed, flour, minerals, plastics, cement products, and all types of wood waste. 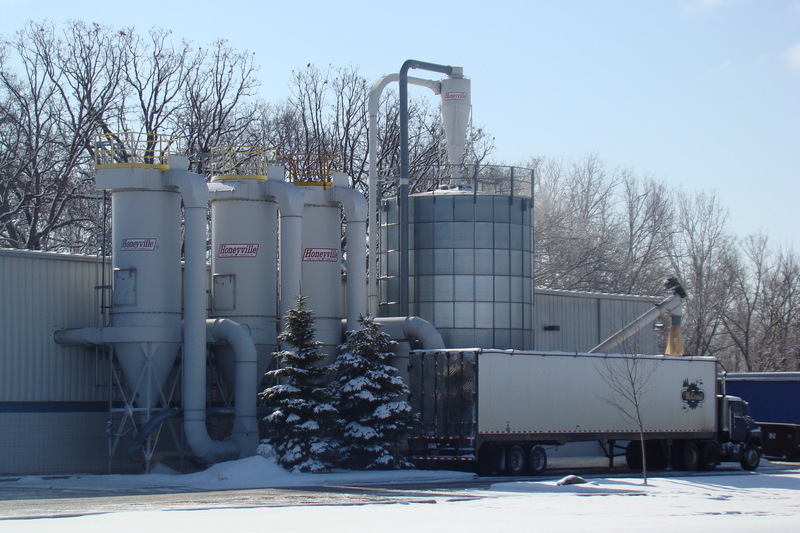 Continuous on line cleaning of the bags makes for a very efficient and economical filter. Bag cleaning is controlled by an electronic timer. 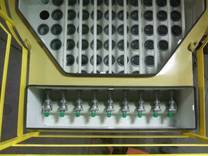 The timer control is adjustable in regard to cycle and pulse duration to minimize compressed air usage. Clean, dry air at 90 to 95 PSI must be supplied. 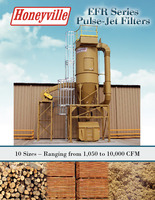 The EFR Pulse-Jet Filters are available in 10 sizes with a recommended CFM Range of 1,000 to 10,000. EFR-18-6 18 3 131 5/10 22' 8"
EFR-18-8 18 3 174 8/12 24' 8"
EFR-30-6 30 5 218 12/18 22' 8"
EFR-30-8 30 5 291 15/20 24' 8"
EFR-50-6 50 5 363 18/23 27' 0"
EFR-50-8 50 5 485 20/30 29' 0"
EFR-86-6 86 9 624 25/35 27' 0"
EFR-86-8 86 9 834 30/40 29' 0"
EFR-86-10 86 9 1042 30/40 31' 0"
EFR-86-12 86 9 1250 35/45 33' 0"